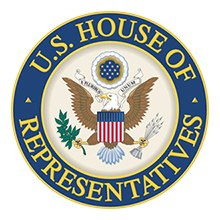 WASHINGTON, D.C. – Today, Congressman Kevin McCarthy released the following statement applauding the addition of nonstop flight options between Bakersfield’s Meadows Field Airport to Dallas/Fort Worth International Airport in Texas. This new flight option comes after last year’s announcement that the U.S.
Today, Congressman Kevin McCarthy released the following statement on the U.S.
By broadening the fields of study covered by GI Bill benefits, the VET TEC pilot program will help transform our workforce and give our veterans the ability to pursue rewarding careers in tech. This will not only ensure that America’s workforce remains competitive, but will help our veterans apply what they learned in the military to their new careers. My colleagues and I remain committed to ensuring California’s families, communities, and agricultural producers receive the water they contract and pay for. For years, I joined Californians across our state in urging former Governor Brown and the California State Legislature to stop this wasteful boondoggle, and I applaud that Governor Newsom has taken a prudent and objective reassessment of this project. The project has been half-baked since its inception, and Californians have been misled about the ever-growing costs at every turn. Washington’s many agencies, bureaus, and departments propagate rules that weigh down businesses, destroy jobs, and limit American freedoms. Career bureaucrats who never face the voters wield punishing authority with little to no accountability. If there’s a swamp in Washington, this is it. We wake up today with a new vision for America's future. This new day begins with the inauguration of Donald Trump as our nation's 45th president and a Republican-led House and Senate. House Republicans have never wanted to repeal Obamacare alone. We plan to rescue people from Obamacare’s imminent crash and provide Americans with relief through access to affordable care that will actually help. Californians are getting a long-awaited present just in time for the holidays this year: water. Years of careful, diligent, and at times contentious negotiations between all sides of the California water issue and in both the House and Senate yielded the largest reforms to our state’s water policy in almost a generation‎. These reforms were made law last week. It took years of negotiations, and the right political timing, to bring the first major water policy affecting California in decades through the House and Senate. Over frayed feelings and filibuster threats, both chambers overwhelmingly passed the bill, which changes how much water is pumped from the Sacramento-San Joaquin Delta to San Joaquin Valley farmers and Southern California. Masterminded by Senator Dianne Feinstein and the House of Representative’s Majority Leader Kevin McCarthy, the bill balances the interests of the environment with the concerns for jobs to bring water to California’s rich, but parched, agricultural land. All sides agree the California water package marks the biggest federal shift in the state’s water use since the 1992 Central Valley Project Improvement Act. McCarthy, the majority leader of the House of Representatives, touched on a number of topics Tuesday during at talk at the Noon Rotary Club, but his theme was getting the nation back on track. Opioid addiction tears apart families, it uproots communities, but, most fundamentally, it deprives Americans of the individual liberty to grasp their dreams and opportunities. It’s also preventable. But the two Kern River Valley veterans not only received their long overdue and well-deserved medals, they received them in a big way thanks to the efforts of Congressman Kevin McCarthy and local veteran advocate Gary Zuber who organized a special medal presentation ceremony last week.